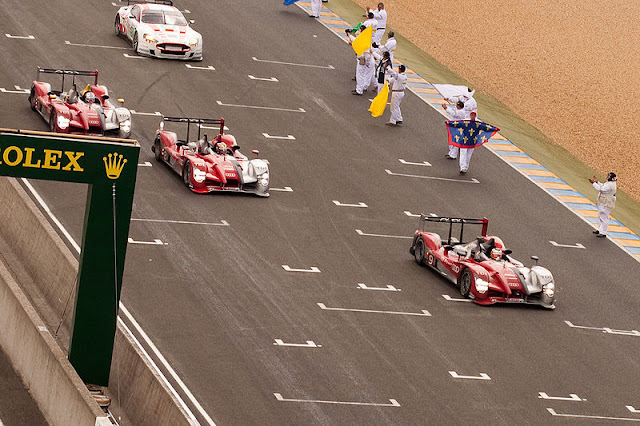 This weekend Audi will bid to secure its 12th victory in the legendary 24 Hours of Le Mans. The German squad’s record at La Sarthe is truly remarkable. True, its tally of overall victories falls short of Porsche’s record-holding 16. But Audi’s current total of 11 wins was achieved in just 14 attempts. Porsche produced cars capable of winning the race for 30 years or more. Even more tellingly, at least one Audi has been on the podium at every Le Mans since 1999. There’s more, too. In 2010 the R15 TDI of Mike Rockenfeller/Timo Bernhard/Romain Dumas set a new distance record of 3,362 miles, beating the previous benchmark set by Porsche-mounted Helmut Marko/Gijs van Lennep in 1971. And the R8 is the single most successful type of car ever at Le Mans, with five victories (the Ford GT40 and Porsche 956 are joint second, with four apiece). But there is far more to Audi’s achievements in sports car racing than Le Mans. Its top-class prototypes are without doubt the most successful racing cars of their type of the 21st Century. Audi’s sports car campaign began in 1999 with the open-cockpit R8R and R8C coupe. The R8C didn’t really work, only running at Le Mans where both cars retired. The Dallara-built R8R did much better, taking third and fifth on its debut at Sebring. The Joest-run cars backed up that result with third and fourth at Le Mans. They weren’t especially fast, but they they made up for that with reliability. The R8 debuted in 2000 at Sebring, winning first time out. Audi Motorsport and Joest Racing completely revamped the R8R for the new LMP900 class, creating one of the most successful sports cars in racing history. Competing in the American Le Mans Series (ALMS), the works Audi Sport North America team would not win again until July, but dominated the championship for the rest of the season. Nine wins secured a first championship title. 2001 carried on in the same vein. Eight wins in the ALMS and five in the one-year-only European Le Mans Series (which shared four rounds with the ALMS) secured a further two titles. Another eight wins in 2002 brought a third ALMS crown. The works team withdrew for 2003, but that didn’t stop privateer teams continuing the R8’s dominance. Team Joest and Champion Racing took nine wins between them, but Joest won the title. Champion would have the ALMS to itself in 2004 and ‘05 however, taking the title both years with eight and seven wins. In Europe Team Goh won 2003’s one-off 1000km of Le Mans, while Audi Sport UK won every race of 2004’s inaugural Le Mans Series (LMS). 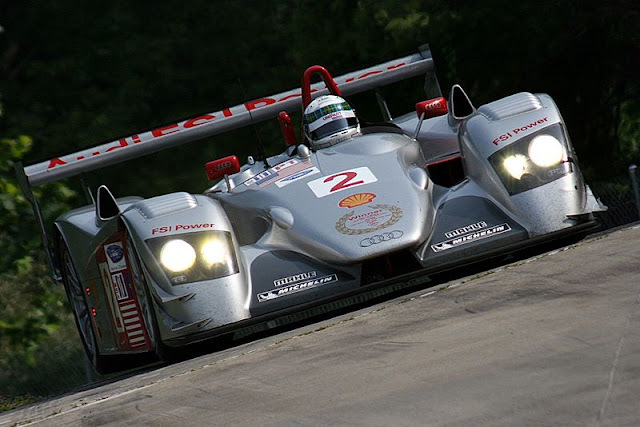 The R8 bowed out with two ALMS wins in ‘06 before the new diesel-powered R10 took over. Its record stood at a remarkable eight championships and 63 victories (including those five Le Mans wins and each of the six Sebring 12 Hours and five Petit Le Mans it entered) achieved with a combination of speed and bullet-proof reliability. It’s now rightly regarded as one of the greatest sports prototypes of all time. 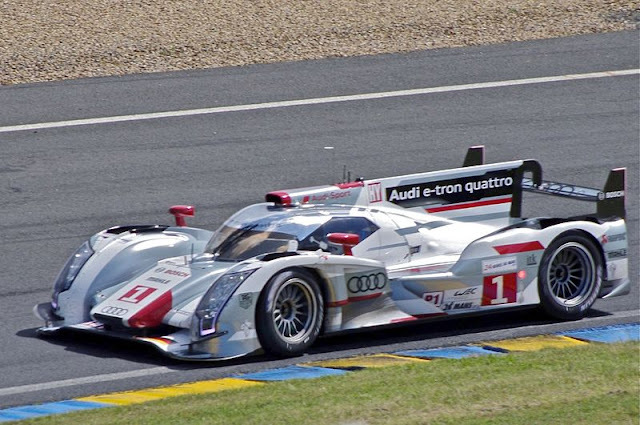 The revolutionary new R10 TDI famously became the first diesel-fuelled car to win at Le Mans. But it was immensely successful in the ALMS, too. 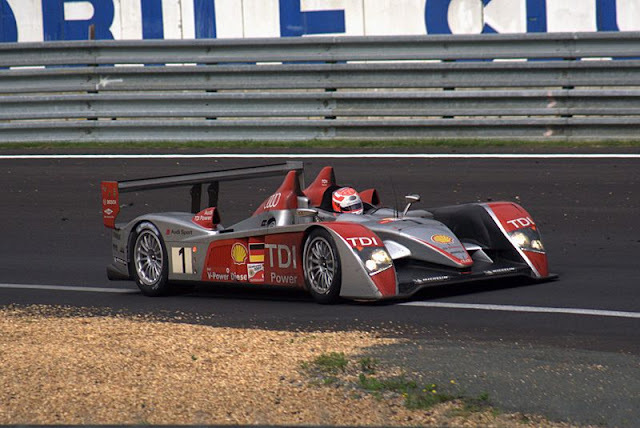 It completely dominated the LMP1 class, winning all but one race during its three years of service. However, it didn’t have overall victories entirely to itself. The LMP2-class Porsche RS Spyder proved to be massively fast and perhaps better suited to the tighter, twister circuits that the ALMS often visits. As such, it was a frequent challenger for outright wins. Still, the R10’s 18 wins, three make’s and three driver’s titles aren’t to be sniffed at. Audi didn’t campaign the R10 in the LMS until 2008. It only managed one win against the much faster Peugeots, but the French car’s fragility meant that the Germans scored more consistently. Constructor’s and driver’s titles were duly won. When it bowed out at the end of the ‘08 season, the R10’s scorecard showed 23 wins (including three Le Mans’, two Sebrings and three Petit Le Mans’) and eight championships. But its legacy went much further than that. Audi had comprehensively capitalised on the rule break given to diesel-fuelled cars by Le Mans’ organisers, the Automobile Club de l’Ouest (ACO). In doing so, they had made diesel the fuel of choice if you wanted to win. R10 became R15 for 2009. Audi cut its program right back to concentrate on Le Mans. Though the R15 won first time out Sebring, Peugeot broke Audi’s five-year run of victories in France. Audi responded to Peugeot’s speed by developing the R15 plus for 2010. Superior reliability helped the team win at Le Mans, but the Pugs were still too fast in the LMS. Audi picked up just one win at the first race of the season. For 2011, Audi unveiled the new R18 TDI. It was built to new LMP1 rules that favoured closed-cockpit cars and dictated smaller-capacity diesel engines (now 3.7-litres instead of 5.5). Racing in the Intercontinental Le Mans Cup (which included the 24 Hours), the R18 again couldn’t cope with the speed of the Peugeots. But at Le Mans, the unfancied car of Marcel Fassler/Romain Dumas/Loic Duval took the win, the team having been reduced to a single-car effort after heavy crashes eliminated the other two. 2012 brought a new championship, the FIA World Endurance Championship (WEC). Peugeot made a shock exit from racing before the year started, but Toyota was preparing an entry. Audi’s season started with a win at Sebring for the R18 TDI, while the improved R18 ultra won at Spa. The team again made history at Le Mans, taking victory with the R18 e-tron quattro, both the first hybrid-powered car and the first four-wheel-drive car to triumph. Toyota had suffered with technical issues early in the season, but came good during the second half of the year, taking three wins. Still, Audi comfortably took the Manufacturer’s and Driver’s titles. So now we reach 2013. Toyota hasn’t been able to continue its late season form, leaving Audi to dominate the WEC, winning the first two races of the season, as well as Sebring earlier in the year. But the third round at Le Mans is the one that really counts. Audi has stamped its authority on La Sarthe during practice and qualifying earlier this week, locking out of the first three slots on the grid. Anything can happen during the 24 Hours of Le Mans, but it would extremely foolhardy to bet against Audi achieving their 12th victory. Audi’s achievements in sports car racing are almost unprecedented. Having started from nothing in 1999, they now sit at the pinnacle of the sport, with a run of victories, records and innovations that other manufacturers would kill for. Its total stands at 97 wins and 17 championships. Their success probably won’t be bettered this century.